Kelta airdrop: Get more free KLT tokens (computing power) today!!! In Slovakia, Agem Data is the owner of a data center, which was not running at full capacity. Therefore they decided to surf on the blockchain wave. And they’ve created a new entity to operate the computing power and sell tokens: Kelta. Anyway, what makes Kelta special is their streamlined and user-friendly platform. Because their mission is to increase the accessibility of datacenter services worldwide. And they start with their own center, of course. So, unlike cloud computing, which can be difficult without network systems skills, anybody should be able to use their services. For further information about the data-center and project, you should take a look at their white paper. A particularity of this project is the implementation of a native cryptocurrency: Kelta tokens, ticker KLT. Indeed, users will need to hold KLT tokens to gain access to the data-center. Most data-centers require fiat currencies or popular cryptos, like bitcoin or ethereum. The ones you can usually mine on the platform too. KLT token is an ERC20 standard utility token issued on the ethereum blockchain network. And KLT token holders can have unlimited access to watts, depending on the amount of tokens they own. So let’s say you have 1 KLT token, then you can use 1 watt of computing power, for 50 years! And if you have tokens, but you don’t want to use your computing power, you can rent it out to other users! How to get the free KLT tokens? 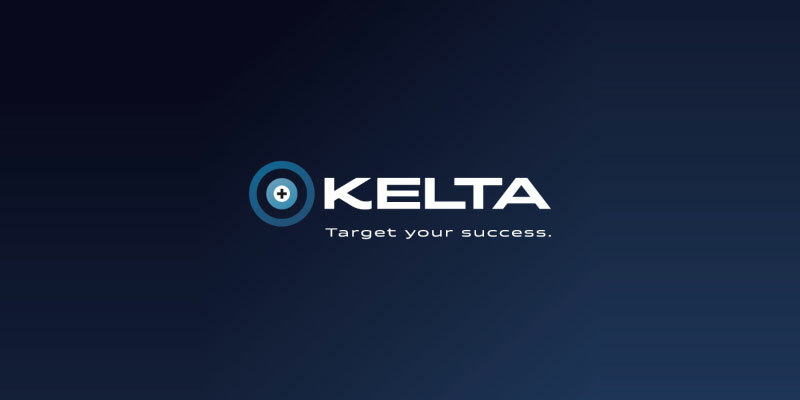 The Kelta airdrop is live! And it’s easy to join the airdrop. First, you’ll need a Telegram account. Because there’s a bot managing the airdrop. Then you can click on this link to connect with Kelta Telegram Bot. Then, from Telegram, you can click on Step 1: Join Telegram Chat and Step 2: Join Telegram Channel. And join both. You’re almost there… You’ve already earned your free KLT tokens. Finally, you need to click on Step 3: Submit your ETH Address. And fill in your ethereum wallet address, not one from an exchange! Also, don’t make any mistake on the address. Because you can only submit it once! So double check and click on Confirm. You’re done! And if you want more free KLT tokens, you can participate in their referral program. Share your referral link, the one the bot gave you after you confirmed your address, with as many people as possible. And you’ll get 5 KLT for person referred. Guys, the second airdrop is now live! Click here to join. Then, fill in your email address and an eth wallet address to register. And tick the checkbox and click on Register. Make sure you’re using a valid email address. Because you can access the airdrop only from the message they’ll send you after registration! Indeed, in the message is the link to the second airdrop. So click on Profile link to reach the page. And there are 5 steps to complete to get up to 4 KLT tokens. First, you need to follow their Telegram account. Second, you need to like their Facebook page and share one of their posts. Third, you need to follow their Twitter account and retweet one of their tweets. Fourth, you need to comment on their BitcoinTalk thread. And you’ll get 1 KLT token for each action you complete. Also, there’s a new referral program, where you get only 1 KLT per person you referred. While it’s better than nothing, the conditions were much better before! Anyway, these are some free tokens. So enjoy! This is just fresh from the oven: Kelta crypto airdrop number 3 is live! And it’s similar to the previous one. Click here to participate. And then fill in your email address (a valid one) and your ethereum wallet address. Tick the checkbox. And click on Register. On the email you’ll receive, click on Profile link to complete the registration. And you’ll have to actions to complete to get 2 free KLT tokens. Good to know: When you participate to this coin airdrop, you can unlock a 40% bonus if you want to buy the said tokens. Just saying! Finally, you can use your referral link to invite your friends. And for each friend who registers, you’ll get 1 extra Kelta token! Go! You should get your KLT tokens 7 days after the ICO is over. And the ICO is planned to end on May 27. And another round of free cryptocoins! Kelta cryptocurrency airdrop number 4 is under way. First, click here to register. And enter your email address and ethereum address. Then accept the T&C and solve the captcha. Finally click on Register. You’ll receive an email and you have to click on Profile link to complete the registration. There are 4 actions to complete to get up to 6 free KLT. And there’s the referral link at the end, same as with previous airdrop coin. Kelta is a new kind of data center, running on blockchain, with their own crypto-currency. And their mission is to make data-centers more easily available, starting now with their airdrop campaign. Claim your free KLT tokens now and get free computing power!